I look for beauty everywhere which is how I found this plant. 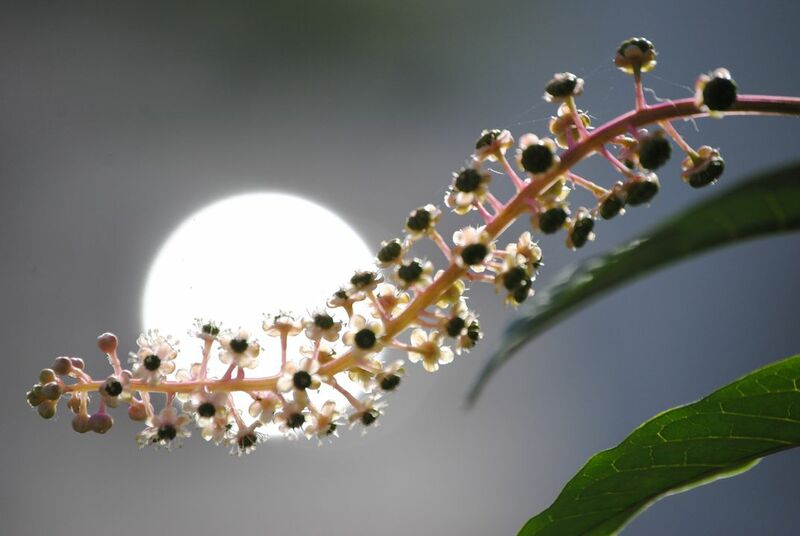 This pokeweed plant is just off of my back porch and is tall enough to get some interesting angles, especially in the evening when the sun is setting behind it. This picture was taken then, the circle behind the plant is actually the glint from a car driving on a road a few hundred yards away. Date Uploaded: Oct. 10, 2017, 12:18 a.m.